Drama. 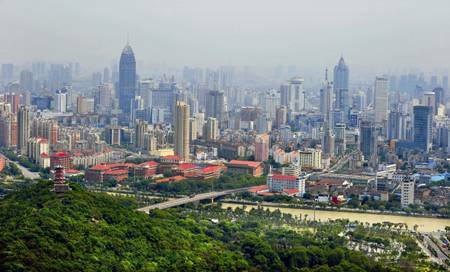 Regional economics are strong in China and that might be a necessity in an aspiring global economy with an unprecedented 1.4 billion people who are all trying to engage in the market economy. We stumbled on the province of Wuxi, China, which is not far from Shanghai which itself hosts more than 24 million people in its urban neighborhoods, because Made in China pharmaceuticals are going global (Wuxi AppTec for one) and the world has suddenly – within the last twenty years – become much, much larger than New York, London, Paris, and Frankfurt in the battle for your money in Hong Kong and Shenzhen (South China Morning Post, April 10, 2018, Chinese Investors Back Drug Stocks To Weather Trade War With Trump). Moreover, the “market economy” reveals itself by what the people do in practice and although there are many private companies which richly contribute to the local economy in China as elsewhere, it’s usually true that prosperity in a community begets even more prosperity which will attract the public and listed companies to where the talent is and the markets are. Private companies come to the market to enrich their owners by capitalizing future earnings and, to some extent, by putting some easy money into the cash till when more debt is not a possibility. Accordingly, all IPOs (Initial Purchase Offers) are overpriced and we won’t know what they’re really worth until they begin to trade in the normal market day-to-day that is farther removed from the buoyant promotions of their investment bankers who are paid to provide that service for a fee. To understand that reality, we need only look at where our profits are coming from in the (B)-Class Portfolio BEFORE the IPO Fever that began in 2015 and then AFTER; for more information, please click on the link below and again to make it larger as required.